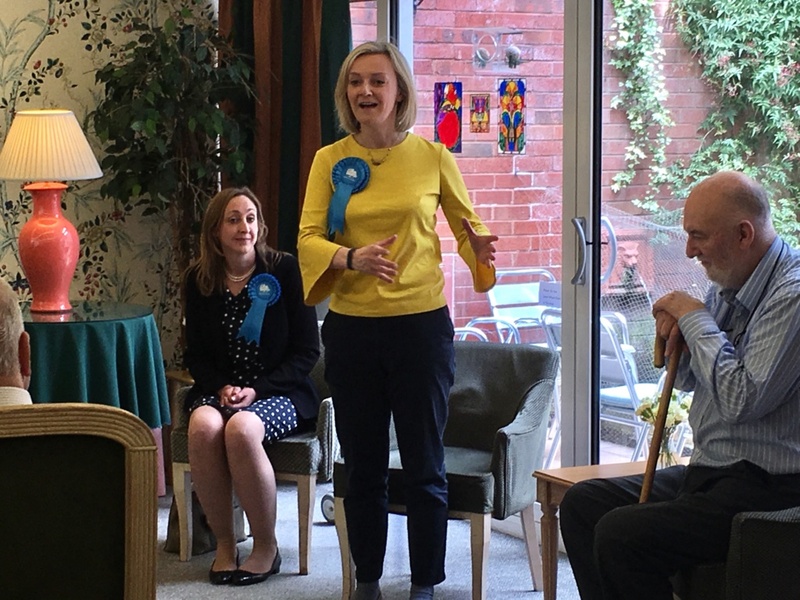 Justice Secretary Liz Truss joined Conservative candidate for Hampstead and Kilburn Claire-Louise Leyland at a retirement home on Thursday to canvass for elderly support. Hoping to bolster the vote in one of Britain’s most marginal constituencies, Ms Leyland and Ms Truss took part in a Q&A with retirees at Spring Grove, Finchley Road, covering such topics as immigration, defence, and Brexit. Ms Truss was keen on promoting Theresa May as a “strong and stable” leader, making contrasts with Jeremy Corbyn, while Ms Leyland flaunted her credentials as a Camden councillor since 2010, and as leader of the opposition since 2014. Ms Leyland said: “I’ve spent seven years in the area, really working to make sure that the local people’s concerns are heard, and that the things that aren’t working for them in local government are really attended to and addressed. 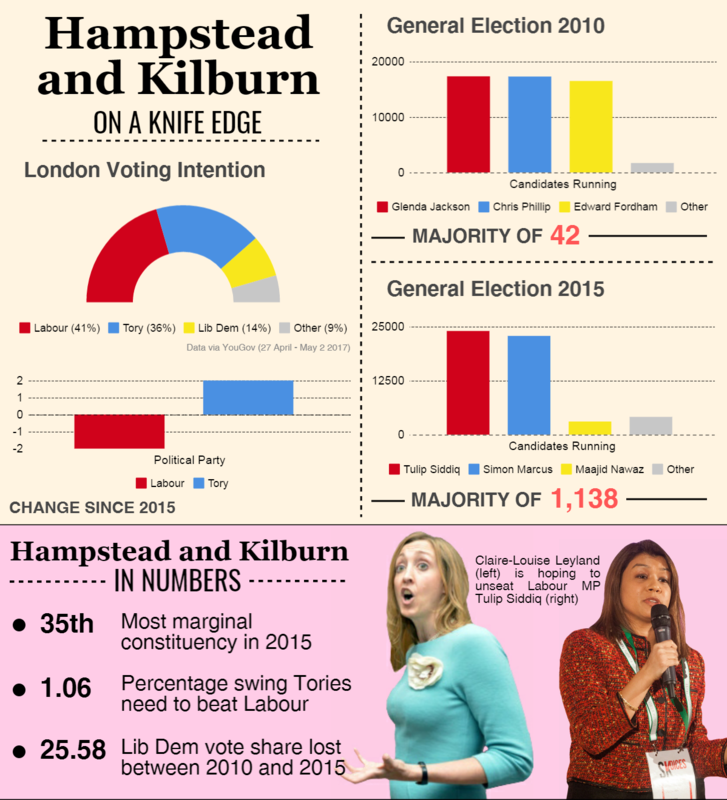 Hampstead and Kilburn has been tightly fought in the previous two general elections, with incumbent Labour MP Tulip Siddiq winning in 2015 with a slim majority of 1,138; in itself considered extremely close if not for former MP Glenda Jackson’s 42-vote majority in 2010. 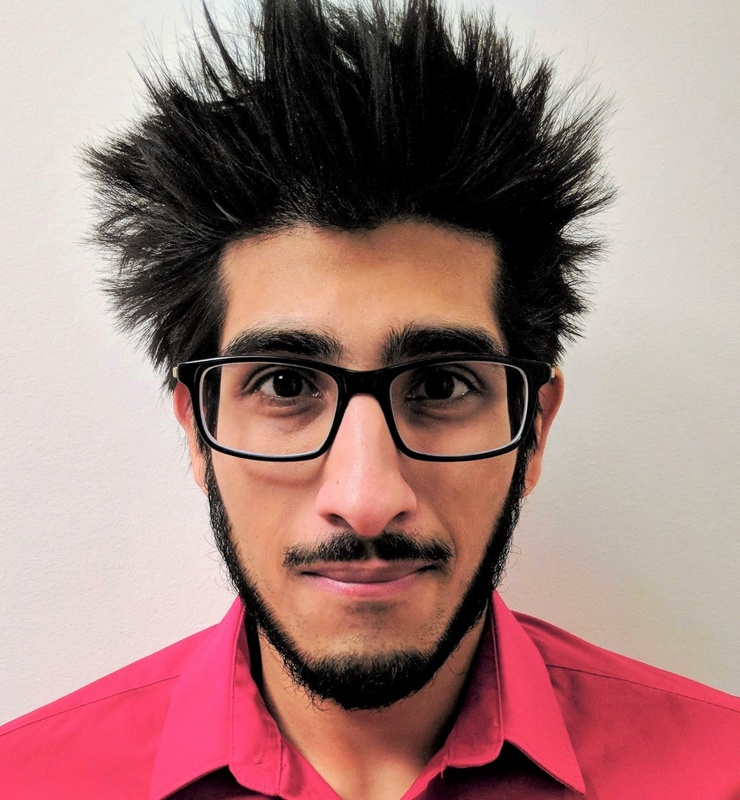 Arnold Powell, 85, a retired medical practitioner who lives in East Finchley, asked a series of probing questions including one on the UK armed forces’ involvement in Afghanistan. Speaking after the Q&A, he said: “It costs us a huge sum of money, and costs a great deal to the country and all the families that were affected. “I had my first vote back in 1952 or 1953, where I voted for Mr Churchill’s government, at the time Atlee was thrown out of office.